For over two decades, The Hardy Boyz have been responsible for giving us some of the greatest, most thrilling and incredible moments in WWE and outside. When teaming together, they would put us on the edge of their seats with their high-flying, daredevil-like stunts. They naturally found a lot of success, being one of the major pillars during the Attitude Era. Their TLC series with Edge & Christian and The Dudley Boyz at WrestleMania were absolutely unforgettable. Even TLC 3 and 4 saw them involved in further classics. However, as with every tag team, there was an expiry date for The Hardy Boyz, primarily because it was clear where the star potential was. Plus, WWE has always had an obsession with splitting up tag teams. In that sense, it came as quite a surprise to many fans that The New Day ended up becoming the longest-tenured tag team in modern WWE history. 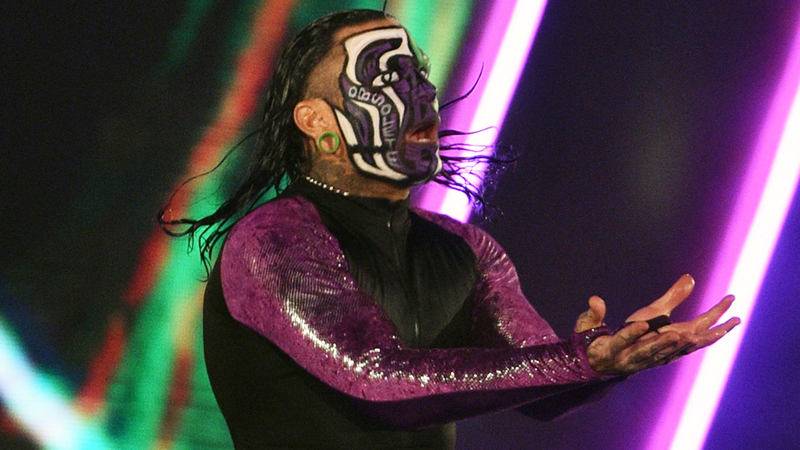 Either way, with teases of Jeff Hardy‘s singles run such as matches against The Undertaker, Triple H, etc. not just fans, but WWE too knew that they had a major singles star in Jeff. However, his first run as a singles star ended far too abruptly after he dealt with several personal issues and was generally burned out. He was released as a result and would return only 3 years later in 2006, reuniting with his brother. However, his second run was clearly meant for him to be a singles star, and this time, the push would sustain for a while. He would win the Intercontinental Championship from Umaga fairly quickly after his return, and even as champion, he would consistently pursue the WWE Championship, often falling short. He had even run into another suspension in the meanwhile, forcing himself to drop the title to Chris Jericho. However, this didn’t squander his push despite the fact that he was supposed to win the Money In The Bank contract at WrestleMania 24. He would switch over to SmackDown, where things would change like never before. On the blue brand, he would go on to become a bonafide main eventer, being one of the three top stars along with Edge and Triple H.
On the blue brand, he consistently competed for the WWE Championship, but often fell short. However, his luck wouldn’t be as bad the previous times. Despite coming up short on a few occasions, Hardy would continue to pursue the title as his popularity only grew further. He was supposed to compete for the WWE title at Survivor Series but was taken out, presumably by Edge, who would return and win the championship. After some controversy when Triple H and Jeff Hardy tied the ‘Beat the clock’ challenge, it was decided that Edge would defend his title against both The Game and The Charismatic Enigma. As you could imagine, Hardy was the favorite going in to this match, and to call it an instant classic would be a criminal understatement. Despite Chris Jericho having the hottest run of 2008, he didn’t main event the final PPV of the year, and in hindsight, that was the right decision. The 18-minute match between the three legends would enter the books as an all-time great, with each superstar coming inches away from walking out with the WWE Championship. The psychology of the triple threat match was out of this world, and the payoff and finish of the match was all the sweeter. At the end of it, Jeff Hardy would pin Edge and finally triumph, winning the WWE Championship in what still remains one of the greatest feel-good moments in WWE history. It was the right time for them to pull the trigger, and it just went to show that had Hardy not faced issues back in 2003, a World title win would have happened much sooner, and the landscape of WWE may very well have been different from what it was. Either way, the pop he got when he won can still give you goosebumps, and there was no better way to go off the air than with Jeff Hardy standing above the titantron set holding the title up high. He would have an even bigger celebration two nights later on SmackDown, one that was only second to Eddie Guerrero’s championship celebration in 2004. Either way, it was a deserving moment for a true world champion, and Jeff Hardy’s moment of triumph remains one of the greatest WWE stories of 2008.